One of Johnstun’s main contributions to alleviating this issue is the LITerally Podcast. 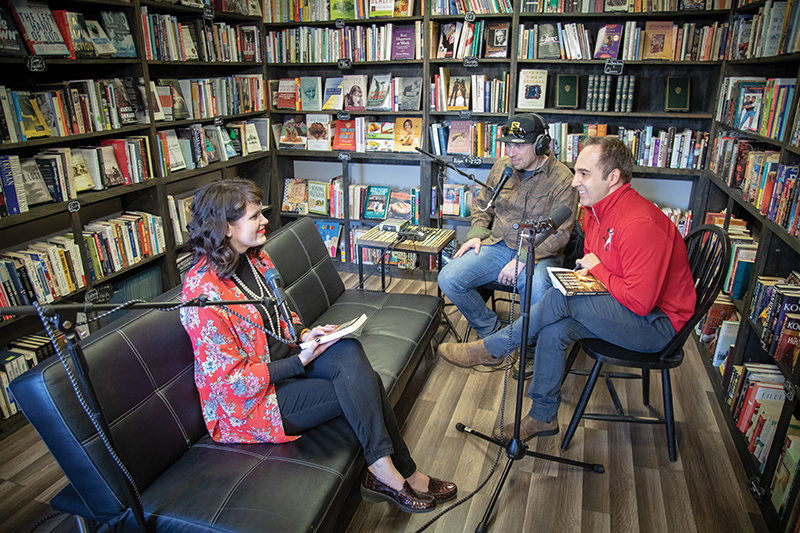 Roughly once or twice a month, Johnstun and technical producer Brandon Long invite an author onto their show to read their work and take a deep dive into their process and inspiration. “It’s very author-driven,” says Johnstun. “This business and craft can be horribly isolating and, at times, difficult and depressing. In order to pull away from the myopic focus of my own writing and career, the podcast gives me an opportunity to focus on other writers and to somehow help them come out of isolation.” The tone of each episode reflects this desire to foster community. There’s a genial feeling to the conversations, with Johnstun’s back-and-forth with his guests feeling more like an informal sharing session than a rigid interview—a lack of stuffiness that defines the podcast. In the years since LITerally’s first episode, Johnstun’s goal of breaching the isolating nature of literature publication has blossomed in unprecedented ways. A recent interview featured the renowned Spanish author Espido Freire, one of the biggest guests ever to grace LITerally. “It shows that we are interviewing more and more major ,award-winning authors,” says Johnstun. “Talking with Freire was intimidating and illuminating all in one.” He also notes that, as the podcast gains more traction, the guest selection process has also changed: “Authors are now contacting us to be on the show. In the beginning, I had to reach out to authors, but now they reach out to us. This is a great thing,” he says. LITerally is only growing now, and each new episode feels like a step forward in quality, professionalism and scope. To back this growth in content, there also has to be a growth in technical quality, a side of the podcast indebted to Brandon Long. “My work comes after recording,” Long says. “I go in and clean up any noise or unnecessary background. I edit out anything that I believe prevents the listener from enjoying the podcast in a smooth way.” Listening to LITerally, this focus pays off. The audio flows seamlessly, using brief segue music to connect segments of the interview. Still, keeping with Johnstun’s “author-driven” ethos, there’s little space not dedicated to exploring the guest’s work and discussions. The mixing places special emphasis on key moments in the discussion, making LITerally a true showcase of the ins and outs of an author’s work. While Long’s success is notable, he points out specific challenges he faces from a technical standpoint. Ultimately, minimizing the amount of surprises or unplanned turns is key to continued achievement. “Consistency is best. Whether that means a consistent release date or consistency in quality product, staying consistent is key and also the hardest thing to do.” While both Johnstun and Long love LITerally, the realities of life inevitably interfere. The former is an author and instructor of creative writing, and the latter is the (co)host of three other local podcasts on top of his full-time work. It’s a wonder then, that LITerally is present in its high-quality form at all, saying nothing of Johnstun’s extra contributions to the local literature scene. 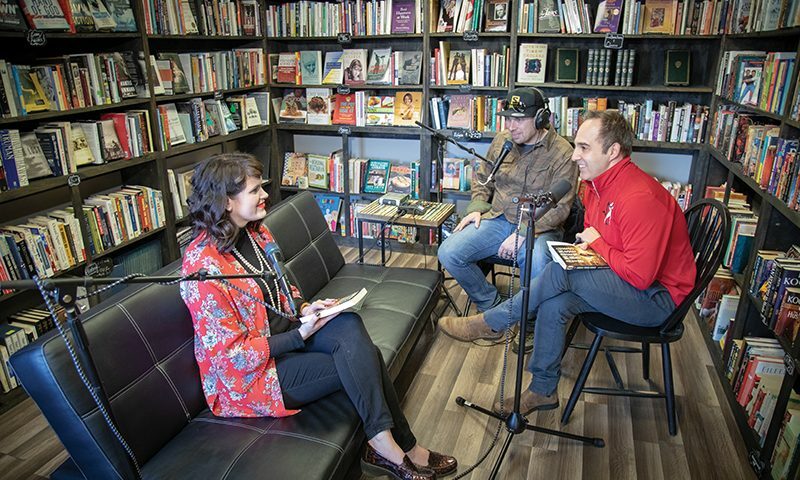 In keeping with his mission of bringing visibility to Utah’s literature community, LITerally is one of many roles he plays that promote his craft. In September, LITerally hosted a reunion reading of sorts at the Utah Humanities Book Festival, bringing together past guests for an extended reading session. Events like these bring the ethos of LITerally out of just a podcast and turn it into a real, space-making concept for the breadth of authors in our state. To stay up to date with new LITerally episodes as well as explore Long’s other podcasts, head to their website thebanyancollective.com/literally. Johnstun’s other work can be found at his website, kasejohnstun.com.